If you follow me on Twitter, you might have seen that I’ve been having a little problem with some absolutely lovely poison oak… I went hiking last weekend and noticed my leg had a small itchy red patch which would later be diagnosed as poison oak. My doctor prescribed a topical prescription strength similar to Benadryl and recommended I stick with gentle basics on my skin until everything resolves itself. Have you guys had poison oak before? It’s awful!!! I headed to my CVS to pick up my Rx and stopped in the beauty aisle (I cannot help myself! Beauty product ADDICT!) and picked up some gentle items to help my skin get back to normal. 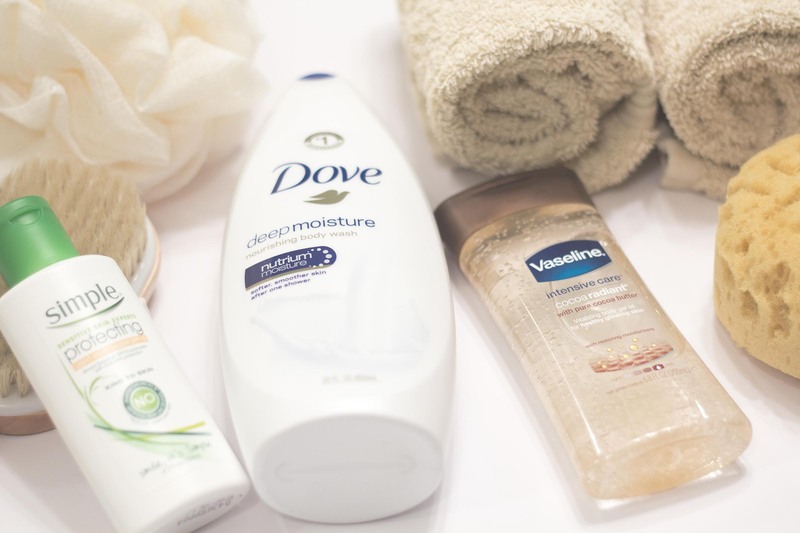 I recently tried the cucumber version and opted to try the Dove Deep Moisture body wash–I’m addicted to body wash, and the richness of this cream sounded really appealing on my sensitive skin. This one looks really popular, it was the last one on the shelf at CVS! I have never seen a product like this Vaseline Intensive Care Cocoa Radiant Oil before and I was very intrigued. It feels like baby oil, but in a gel form and glides on your skin so smoothly. It’s super rich for when my skin wants extra hydration or in this case, wants a break from being itchy! I wear sunscreen everyday on my face and body but wanted to take a break from my typical sport spray sunscreen and try this Simple Protecting Sunscreen. Technically its formulated for your face but I’ve been using it on my face and body for head to toe sun protection coverage. I mentioned in a previous post that I was following along with the CVS Love Your Skin videos–it’s a series of videos featuring Yale School of Medicine’s Dr. Mona Gohara where she covers a range of topics including why skin heath is important, keeping your skin healthy head to toe, and safe sunless tanning. 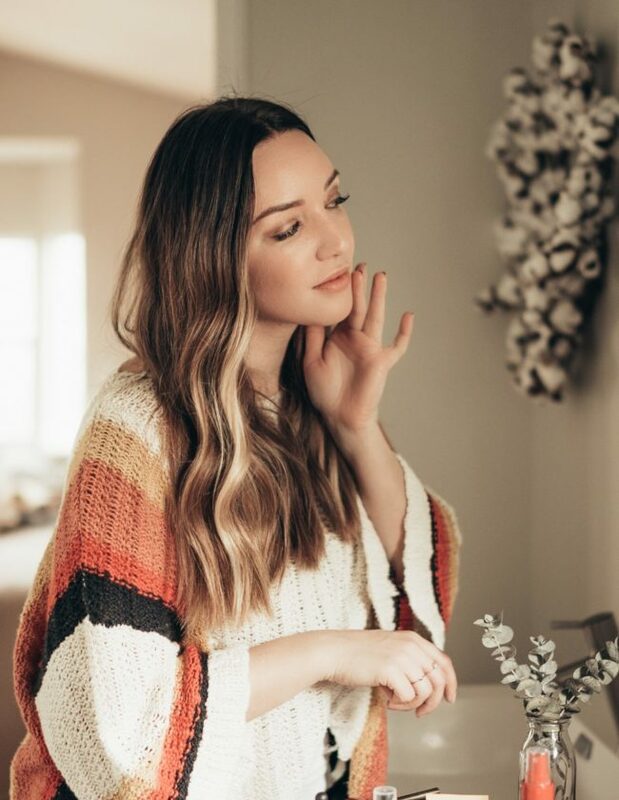 I’m checking back this week to see if she has anything to share on soothing itchy, red, and sensitive skin because I’m all ears! (Bonus–discount coupon here! ).